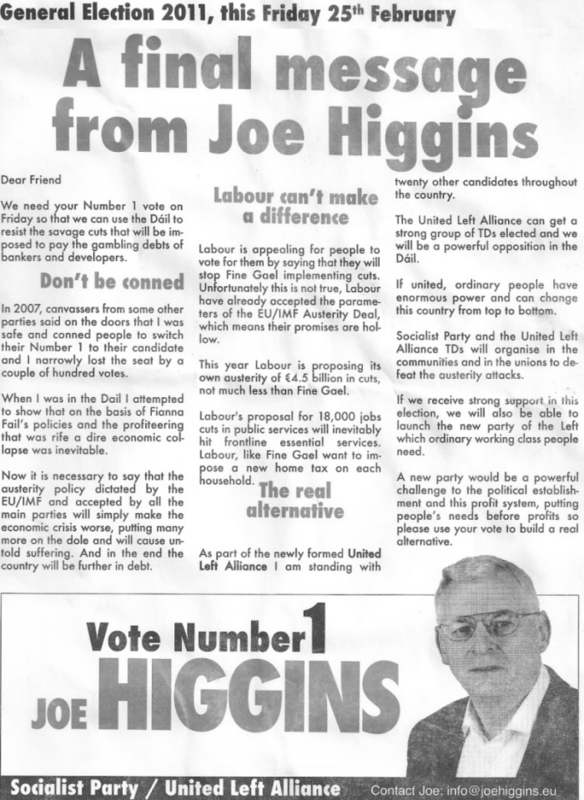 From the 2011 General Election campaign “A final message from Joe Higgins” of the Socialist Party / United Left Alliance running in Dublin West. Higgins appeals for number 1 votes and there are headlines such as “Labour cant make a difference” and “dont be conned”. Hiigins was comfortably elected , regaining the seat he lost in the 2007 General Election.